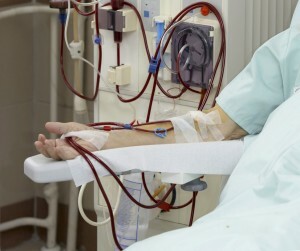 According to the United States Centers for Disease Control and Prevention, or CDC, approximately 400,000 Americans undergo kidney dialysis in a given year. 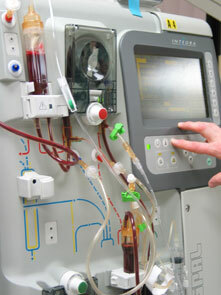 Dialysis requires a fluid in order to flush the kidneys, and GranuFlo was once one of the leading products of this type for years. It’s quite likely that most people who learned that they were going to need dialysis did not foresee the eventual need for GranuFLo lawyers, but unfortunately many have because of alleged GranuFlo side effects. People have been badly injured, and many allegedly suffered because they used this product. GranuFlo was an extremely prevalent product, as estimates indicate that as many as 125,000 people have used it in a given year, and by using it that means people allow it into their bodies regularly. As such, the possibility of suffering from GranuFlo side effects and therefore needing the help of GranuFlo attorneys was quite high. The proof in that notion can be found in the fact that claims have been filed all over the country, and GranuFlo lawyers are now working in essence together on a multidistrict litigation, or MDL. After some investigation into these GranuFlo side effects was done, many believed that the product contained higher levels of a substance known as bicarbonate than many realized. GranuFlo lawyers have argued that having too much of this substance in the system can lead to serious problems that are related to a person’s heart. Eventually, the FDA began to receive complaints about this product and they too noticed that GranuFlo lawyers were filing lawsuits all over the United States. As such, the FDA issued a recall of this product along with a similar one known as NaturaLyte in 2012. While that has likely prevented additional people from being harmed, it has not quelled the need for help from GranuFlo attorneys who represent consumers who have already had their lives put in danger. While GranuFlo attorneys can help people who have been harmed stand up for themselves and hold those responsible for harm that was inflicted accountable, the first step needs to be taken by the people who have been made to suffer. That can be difficult as people may not fully realize that the heart problems they have faced were even related to their kidney dialysis. Many people are not even fully aware of the substances used in these treatments. If you have undergone kidney dialysis and you have suffered heart problems, you should check to see if GranuFlo was part of your protocol. If it was, contact the GranuFlo attorneys at Parilman & Associates as soon as possible to schedule a free initial consultation.